Choosing the right wireless carrier can be a lot harder than choosing the right iPhone. If you don’t do your research, you could end up regretting your decision at some point in the future — or wasting hundreds of dollars. If you’re planning on upgrading to an iPhone 7 or iPhone 7 Plus and you want to find the best plan for you, then you’re in the right place. 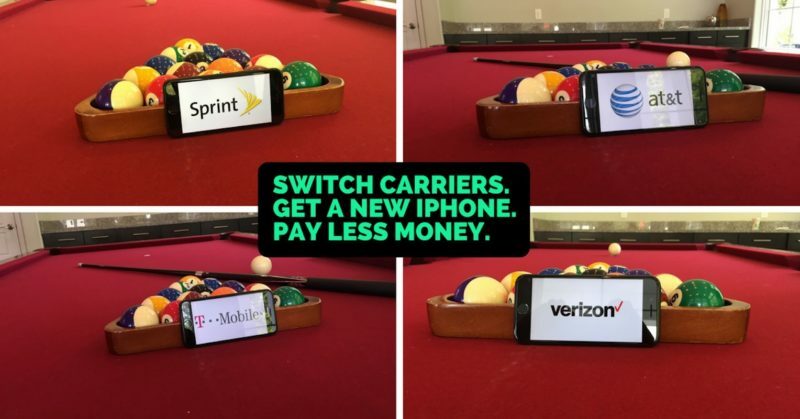 In this article, I’ll take a close look at the best iPhone plans offered by the four biggest wireless carriers in the United States: AT&T, Sprint, T-Mobile, and Verizon. Verizon was the second carrier in the United States to carry the iPhone, and their sheer size makes them a great choice for people who want a speedy data connection and top-notch reliability. I’ll mention Verizon’s Large Plan in this article because it’s one of their best options for families — you can pick the plan that works best for you. For just $117.08 per month, you get 10GB data, unlimited minutes and messaging in the United States, and a brand new iPhone 7 32GB. You’ll also get international texting to 200 countries. A note about Verizon’s iPhone plans: A fee of $15 will be charged for every 1GB of data overage. Initially, the Large Plan costs $90. However, an additional $27.08 will be charged for the iPhone, increasing the total monthly payment to $117.08. Just recently, Verizon began offering a new deal where they give 2GB of free data to all their subscribers who have a 10GB data plan or higher. T-Mobile’s iPhone plans are some of our favorites, and some say they offer the best iPhone plans because of the low cost, unlimited data plan called the T-Mobile One Plan. 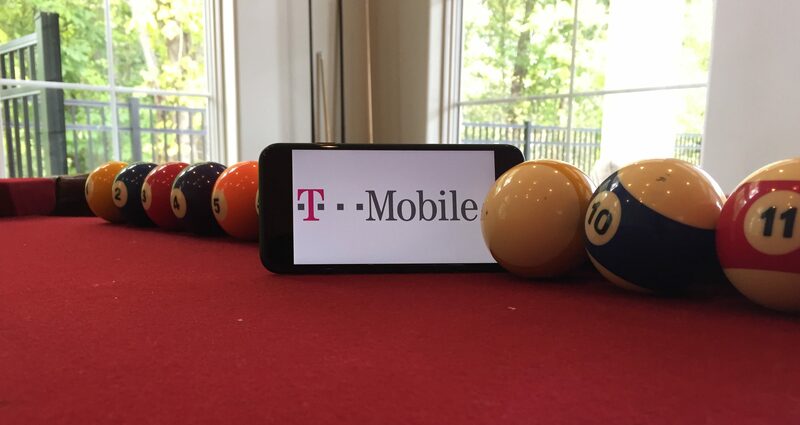 T-Mobile prepaid plans include unlimited text, call, and data with free music and video streaming. Note about T-Mobile Plans: With unlimited data plans at T-Mobile, video streams at 480p standard definition. You can also use the network’s free 4G LTE coverage in Canada and Mexico. An additional $20 for the SIM Starter Kit will be automatically added to your order, since all devices purchased from T-Mobile require a SIM starter kit. Sprint offers some of the best iPhone plans on the market. Their iPhone 7 and iPhone 7 Plus phones cost $27.09 and $32.09, respectively. They’re also offering a free iPhone 7 to their customers who sign up for their Unlimited Freedom data plan. To get the free iPhone, however, you need to trade in your old iPhone (6 or 6 plus) or Samsung Galaxy phone (S7 or S7 edge). The Unlimited Freedom plan gives you unlimited talk and text, as well as unlimited data for almost everything, including movie and music streaming. For $80 per month, you’ll get 10 GB data, unlimited domestic talk and text, and unlimited texting from the US to 120 countries. You’ll also get unlimited talk and texting to Canada and Mexico. If you want an unlimited data plan, AT&T does offer it — but there’s a catch: You have to sign up for either the U-verse or DirecTV service. Enjoy Your New iPhone Plan! I hope this article has helped you to find the best iPhone plan for you and your family. 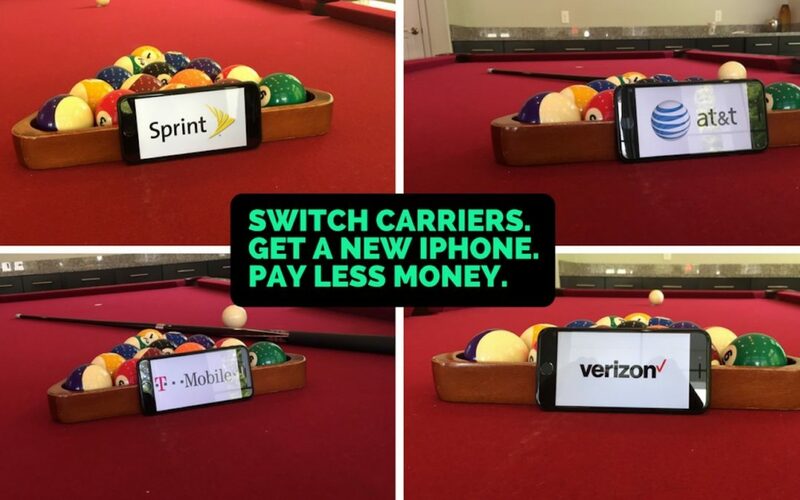 What you’ll notice is that all of the carriers offer very similar pricing for the iPhone itself — where things get different is in their plans and current promotions. If you’ve whittled down your choices to two, visit both carriers’ websites to find the best deal. Thanks for reading, and if you have any questions, leave a comment below — we’re here to help! Previous ArticleMy iPhone Won’t Backup To iTunes On Mac! Here’s The Fix. I'm a freelance writer, editor, project manager, and budding entrepreneur. I enjoy writing just about any topic under the sun, especially those technology-related ones.